Want clients to pay you more for the same work? In this interview, Steve Slaunwhite talks with Ed Gandia on strategies for getting better paying writing gigs. Where are you on Ed's copywriting pyramid? Website projects are profitable high-profile projects. If you shine on a website project, you&apos;re likely to get more business from the client. Follow these strategies to manage a website writing project like a pro. A client asks for major revisions after you&apos;re done or they change direction in the middle of the project. How do you handle this awkward situation and when do you charge for the extra work? When you&apos;re looking at a niche or target market, how do you know if it&apos;s one where you can find plenty of clients? Steve Slaunwhite shares tips on evaluating a niche so you can choose one where your business will thrive. No matter how many articles or blogs you write, they all fall into one of four master topic categories. Steve Slaunwhite outlines the four categories and explains the goal of each one. Writing for a new company or new product can be fun and exciting. But there are also some challenges. Steve Slaunwhite explains how you can overcome the challenges and enjoy the experience. You've submitted your copy to a client and then… silence. What do you do? Steve Slaunwhite gives you helpful strategies for this odd, but not uncommon event. Should You be a Project Specialist? 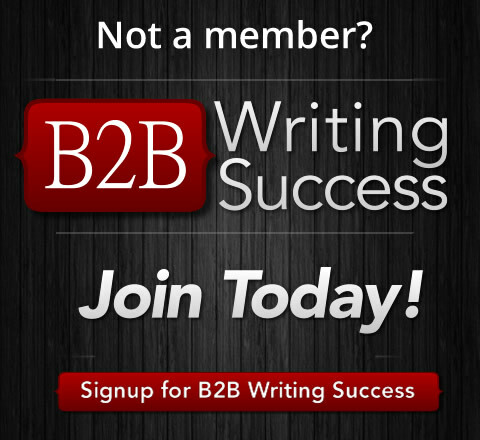 Some B2B copywriters specialize in certain types of copy. When does it make sense, and when is it better to have a more diverse freelance business? Steve Slaunwhite reveals which projects are good options for specialization.